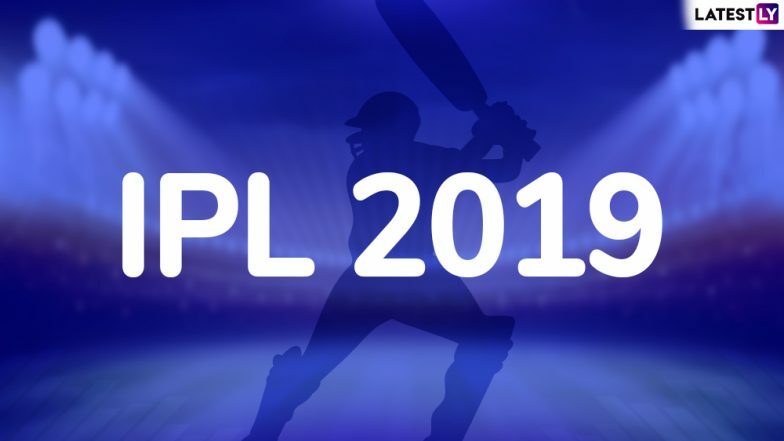 Islamabad, April 2: Pakistan on Tuesday banned the telecast of Indian Premier League (IPL) cricket matches in the country, citing an "organised effort" by India to "harm" the game in Pakistan. Information Minister Fawad Chaudhry told a press conference that the decision was taken at a Cabinet meeting chaired by Prime Minister Imran Khan, a former captain of Pakistani cricket team. He said the move was taken by the Cabinet because India left no opportunity to harm Pakistan's cricket. "India made an organised effort to harm cricket in Pakistan and it doesn't make sense for us to allow an Indian domestic tournament to be promoted here," he said, pointing out that the official Indian broadcaster pulled out of the fourth edition of the Pakistan Super League (PSL) in the middle of the tournament after the Pulwama attack "to harm the league and cricket" in Pakistan. IPL 2019 Telecast Banned in Pakistan. In February, DSport -- the official broadcasters of the PSL in India -- stopped the coverage of the tournament in protest of the Pulwama attack carried out by Pakistan-based terror outfit Jaish-e-Mohammed (JeM) that killed 40 CRPF personnel, leading to escalating tensions with Pakistan. Indian company IMG Reliance also pulled out of its deal to produce the television coverage of the PSL worldwide forcing the Pakistan-based T20 league to find a new production company midway into the tournament. Chaudhry said the Pakistan Electronic Media Regulatory Authority (Pemra) would ensure that no IPL match is aired in Pakistan. He said the Pakistan government believes that sports and culture should not be politicised, but India adopted an aggressive posture against Pakistani players and artists. Khan, who led Pakistan to victory at the 1992 Cricket World Cup, became Pakistan premier last August when his Pakistan Tehreek-e-Insaf (PTI) won the general election.